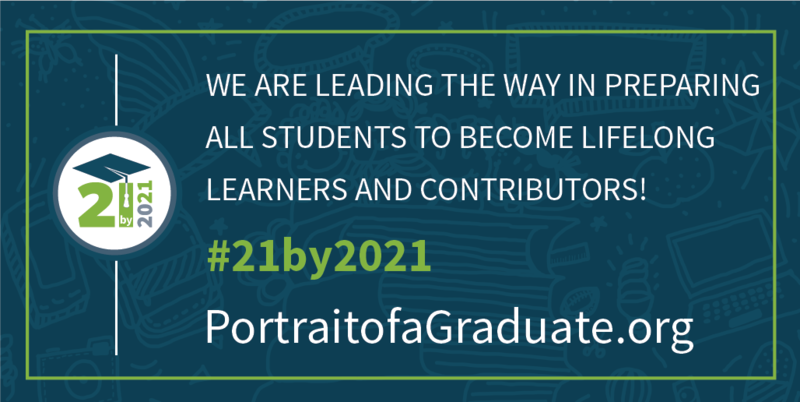 Many school systems have engaged their communities to develop and implement a Portrait of a Graduate—a collective vision articulating the community's aspirations for its students. Locally developed, but globally positioned, the Portrait of a Graduate serves as a North Star for system transformation. Battelle for Kids and EdLeader21 have joined forces to make 21st century learning a reality for all students. Together, we intend to unite education leaders, in partnership with communities, foundations, and other education-focused organizations, around a shared goal. 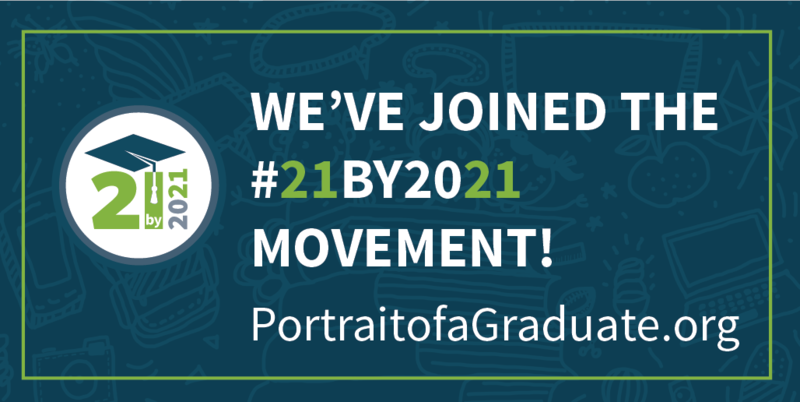 Share the movement with colleagues by inviting them to participate at PortraitofaGraduate.org. 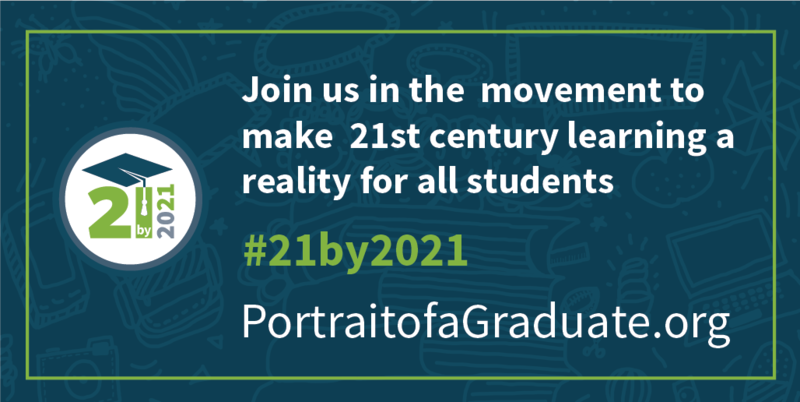 Celebrate your district's leadership in the #21by2021 movement by using these images and captions for social media. 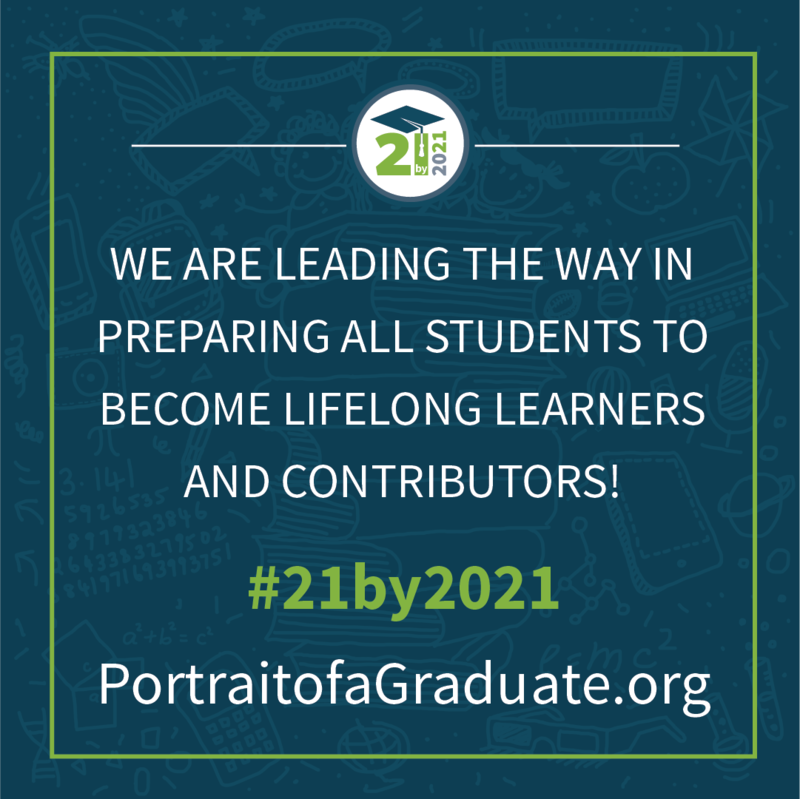 Become a member of EdLeader21. Contact us to learn how! 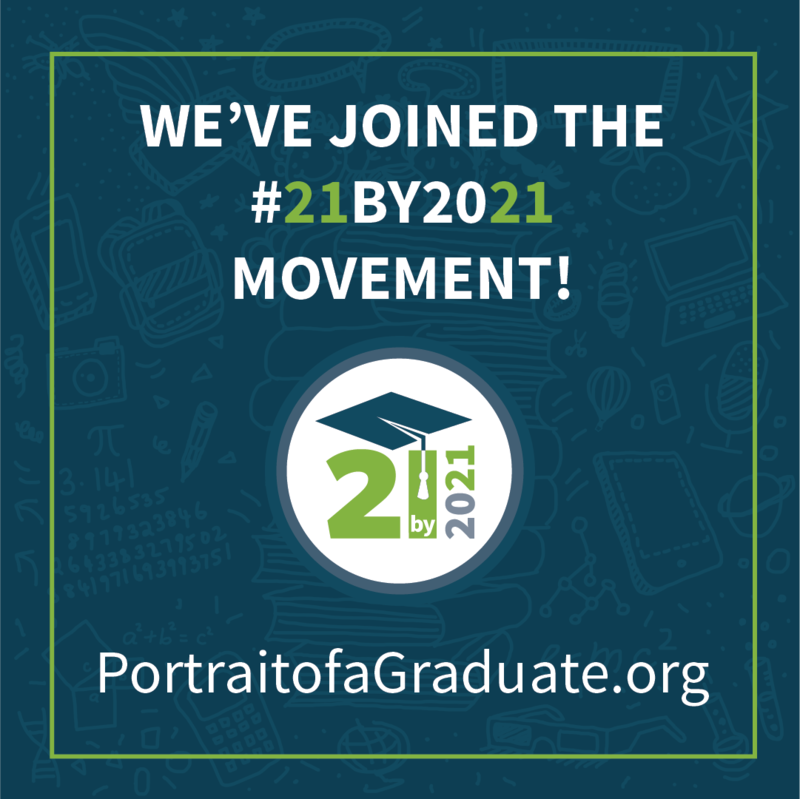 We strive to have 21 percent of school systems (that's nearly 2,700 school systems!) 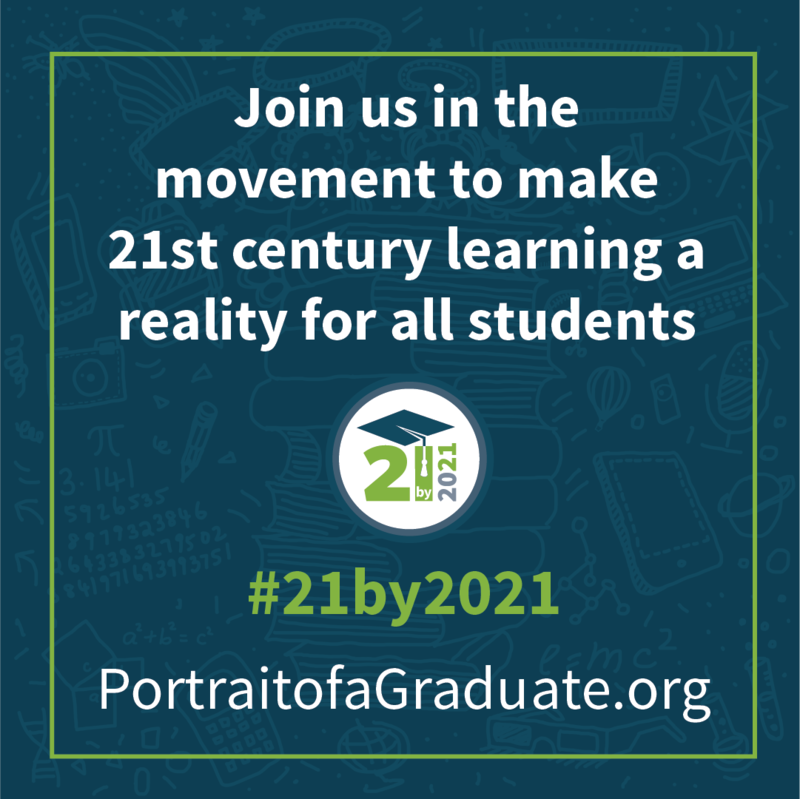 meaningfully engaged in this work by 2021 to create national momentum to ultimately influence the educational experiences for all students across the United States. We’re excited to see Portraits across the United States!